Electrical Systems Based on the 2017 NEC® is designed for use by journeyman and master electricians, inspectors, contractors, and others in the electrical trade. Hundreds of Illustrations. Detailed instructional images display the Code change in an applied setting. Color Icons. Explanatory icons that help you identify the specifics of each change, along with easy-to-understand explanations. PRACTICAL PROBLEMS IN MATHEMATICS FOR ELECTRICIANS, 9E will give readers the math skills they need to succeed in the electrical trade. It introduces them to the important math principles through problems designed for the electrical profession and offers them an excellent opportunity to develop and practice problem-solving skills while at the same time providing a valuable review of electrical terminology. Printreading Based on the 2017 NEC® provides a thorough foundation for understanding drawings and concepts related to electrical printreading. It includes important changes that appear in the 2017 National Electrical Code® as they pertain to one-family dwellings, multifamily dwellings, commercial locations, industrial locations, special equipment, and hazardous locations. 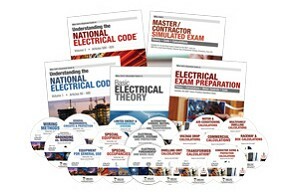 Significant Changes to the NEC 2017 is an invaluable resource for electricians, electrical contractors, electrical inspectors, and electrical engineers, focusing on the most important changes that occurred between the 2014 and 2017 NEC. To assist and enhance understanding of each revision, the text is arranged to follow the general layout of the NEC and each change is accompanied by a helpful image or illustration. In addition, background information and a discussion on the significance of the change accompany each of the revisions. This comprehensive reference presents the latest information on electric motors and drives that are used in common industrial applications. The extensive applications, activities, and trade tests included provide the framework for acquiring the knowledge and skills required in today's industrial environment, or serve as a guide to avoid costly downtime. Starting with motor operation principles, the text builds on motor types, motor protection, causes of motor failure, and troubleshooting methods.